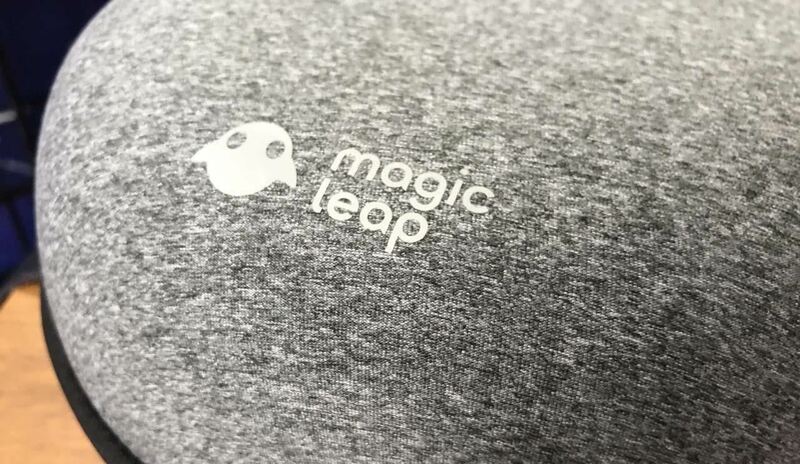 Like many things associated with Magic Leap, the start of the company's first annual L.E.A.P. conference got off to a unique start. Taking the stage on Wednesday morning in Los Angeles, the company's CEO, Rony Abovitz, gave a brief introductory speech welcoming the crowd and outlining the mission of Magic Leap. But he was soon replaced by, Brenda Freeman, Magic Leap's chief marketing officer, who delivered an extended presentation related to the topic of inclusion in the augmented reality space. Following Freeman was Robin Hunicke, the co-founder of Funomena, the company behind the Luna: Moondust Garden app for the Magic Leap One, who also emphasized the importance of inclusion in the still new immersive computing industry. And while the somewhat politically-laced opener seemed to take a crowd ready for tech talk a little off guard as they sat in silence listening, the comments were met with applause at the end. Afterward, the company moved away from tech culture and more into the specifics of Magic Leap's tech future as a product. The epically long (three hours!) keynote event was kicked off by a kind of roundtable discussion between Abovitz, Neal Stephenson (renowned science fiction author and Magic Leap's chief futurist), and John Gaeta (a veteran of The Matrix franchise and Magic Leap's senior vice president of creative strategy). We didn't get much new information during this session; it was more of a discussion amongst the company's most imaginative minds to explain further how they see what they call the "Magicverse" (aka immersive computing) coming together. Specifically, the company envisions a future comprised of spatial computing layers on top the real world (see graphic above), facilitated by the AR cloud, that will eventually allow all AR companies and their devices and apps enjoy interoperability in AR, rather than siloing off various platforms and experiences behind walled gardens. Among the new titles teased on stage, Funomena (pronounced like "phenomenon") showed off a brief demo of their app Luna. Then Magic Leap gave us a peek at what its upcoming Avatar Chat looks like in action (for those familiar with VR, think Rec Room in AR). The people behind the Star Wars franchise at the ILMxLAB also gave the audience a look at Star Wars: Project Porg. Of course, the biggest app is what Magic Leap saved for last, which is the new DirectTV Now beta coming to the Magic Leap One next year. The concept demo was effective in showing what it will be like to watch several streams of television simultaneously using the app. In addition to the hefty bug bounty reward, the company has also created a developer grant program called the Magic Leap Independent Creator Program. That program will focus on offering fledging developers support related to hardware, software, and marketing at the conclusion of their project. In conjunction with that support program, Magic Leap is also setting up a developer awards framework designed to recognize the most creative works coming from the Magic Leap developer community. We should expect a least a few talented developers to emerge from the University of Miami, as Magic Leap also announced a partnership with the university that will help to foster adoption and development on the Magic Leap platform. Also, Magic Leap did something else it's never done before — release its software roadmap to the public. This level of transparency is fairly new for the famously secretive company, but to win over the loyalty of a small but growing developer community, this is the kind of information it will have to become comfortable releasing frequently. Included in the 2019 software roadmap are the additions of a spectator view, large-scale mapping, iris detection logins, and two-controller support (someone's probably already designing a two-handed shotgun experience for the new functionality). 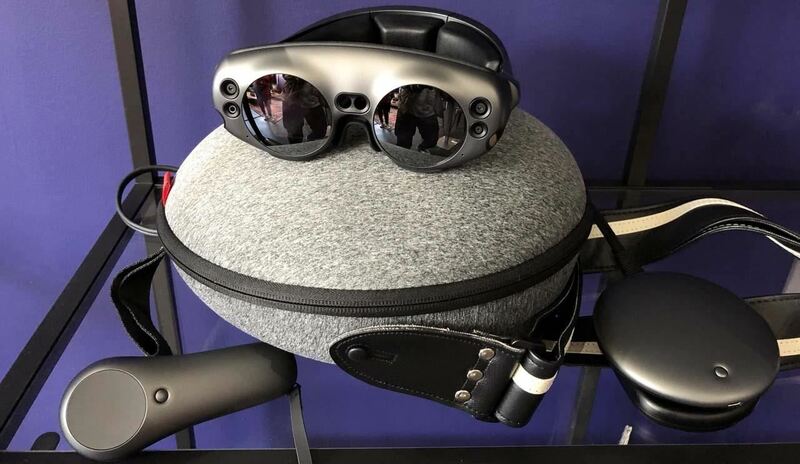 Even though there are already solutions on the market that Magic Leap fans can use to carry their device around, the company has nevertheless been listening and has decided to release its own Magic Leap One carrying case. The company didn't announce a price or release date for the accessory, but I spoke to members of the sales team who noted that the carrying case will be open to third-party accessories makers looking to sell unique shoulder straps for the case. Overall, the case feels sturdy, and it has a great shape, but it felt perhaps just a little too large for my taste. Toward the end of the keynote event, actor and motion capture legend Andy Serkis, the co-founder of The Imaginarium, took to the stage to express his enthusiasm for the possibilities inherent in marrying motion capture technology with an AR headset like the Magic Leap One. In fact, one of the more popular demonstration areas at the L.E.A.P. conference was The Imaginarium, which lets visitors interact with a range of characters (an astronaut, a young woman, a rock creature, and Grishneck himself) who are controlled in real time by a motion capture actor standing just a few feet away from you. It looks like the L.E.A.P. conference has been a success, as turnout was strong and the overall atmosphere from attendees, developers, and Magic Leap partners was decidedly optimistic. 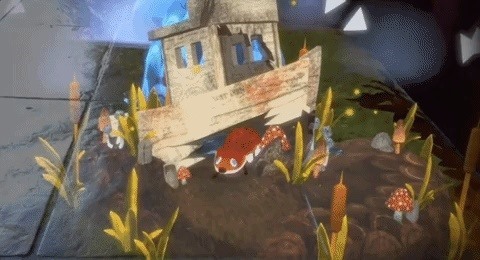 Although my demo had a few latency issues, overall, I was intrigued by the potential of such a pairing, particularly when I scaled up the rock creature and the actor (prompted by my description of what I saw via Magic Leap) began to look down on me menacingly (in her rock creature guise) from about 10 feet in the air. 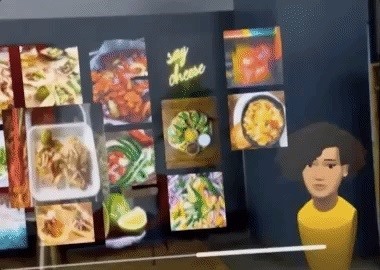 Those were the big moments, but there are a few other Magic Leap experiences mentioned in the keynote (Dr. Grordbort's Invaders, Wingnut AR, Angry Birds, and others) that I managed to sample at length, so keep checking Next Reality for a couple of hands-on experiences using a few new Magic Leap One apps. In general, it looks like the L.E.A.P. conference has been a success, as turnout appeared strong (no official numbers yet), and the overall atmosphere from attendees, both fans and developers alike, as well as Magic Leap partners was decidedly optimistic. Now it's just a matter of getting more Magic Leap One devices into the public's hands while all this blue sky energy is still at its peak.